We get it! Your options are wide open. You find yourself awash with ideas but haven’t a clue what each option might cost or if it is even possible. What surprises are lurking? What government regulation or impact fees will come into play? It’s disconcerting because you want to make a decision but you need numbers to compare and contrast. Go Ahead! Make the Call. 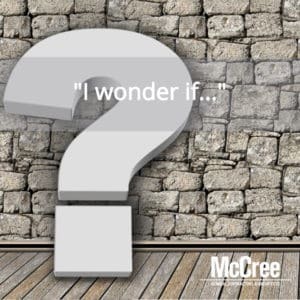 Because of the McCree Enhanced Design-Build approach and being a Central Florida General Contractor headquartered in Orlando, we’re remarkably capable of not just giving you ballpark numbers but placing you on the field of play. When you need take-it-to-the-bank exceptionally accurate budgets that take into account nearly every facet involved in putting together your project, then you’re ready for a feasibility study. Avoid surprises, discover disqualifying problems before you design. Before you close on the land, know what’s possible and what to expect. A Feasibility Study allows you to move forward with confidence to make the best decision possible. Regardless of what or how many options you’re considering, you can get what you need from a feasibility study for one or more options. To drill down to the specifics of your concepts, you’ll pay a modest fee. This investment will give you the peace of mind you need to know what’s best for your situation.